Artichokes are a strange looking vegetable and definitely fall into the category of vegetables I was scared of (at one point in my life). They are big, and spiky, and rough, and definitely don’t look edible. I wonder who was the first person to try to eat one of these things? I eat a lot of artichokes…I mean A LOT, and to be clear I’m talking about the jarred kind. I mainly put them on salads, but often find myself with a fork in the jar eating them straight up for a snack (a pricey snack). Well one day I got over my fear of fresh artichokes and steamed one of these guys which confirmed for me why the jarred versions are so expensive…they take quite a bit of work to get to the meat aka the heart. The bonus of making a fresh artichoke…all the extra meat you get off the leaves. And the fun part of making a fresh artichoke…the dipping sauces. In my version of steamed artichokes you could eat them right out of the pot as the flavors I add to the steaming water makes them delicious all on their own. 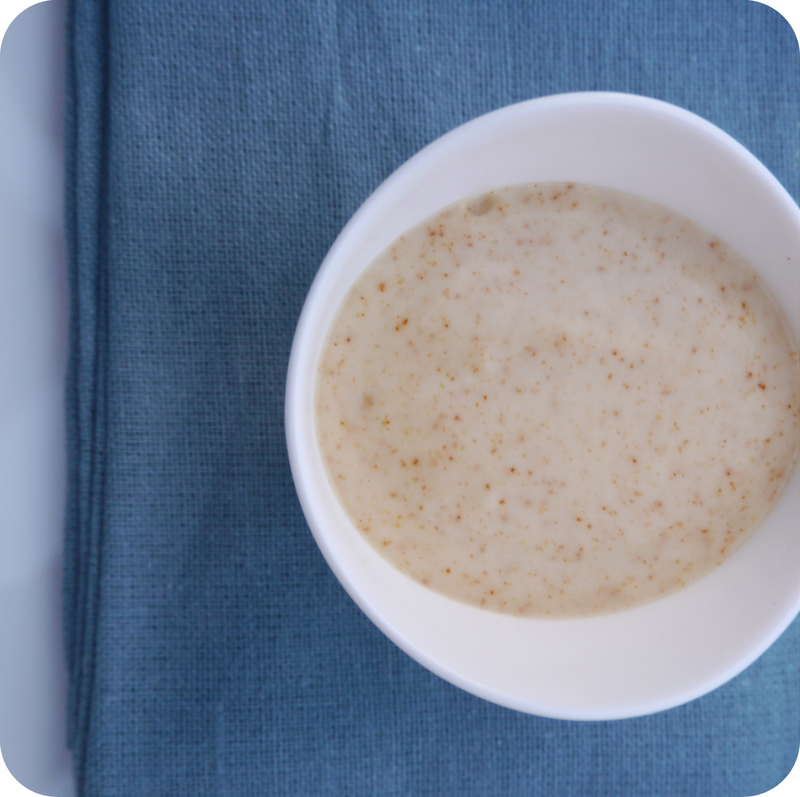 I also whipped up a spicy vegan dipping sauce to serve along side, great when serving as an appetizer. Fill a large stock pot with about 2 inches of water. Squeeze the juice from the lemon into the water, toss in the lemon halves, garlic, bayleaf and liquid smoke. 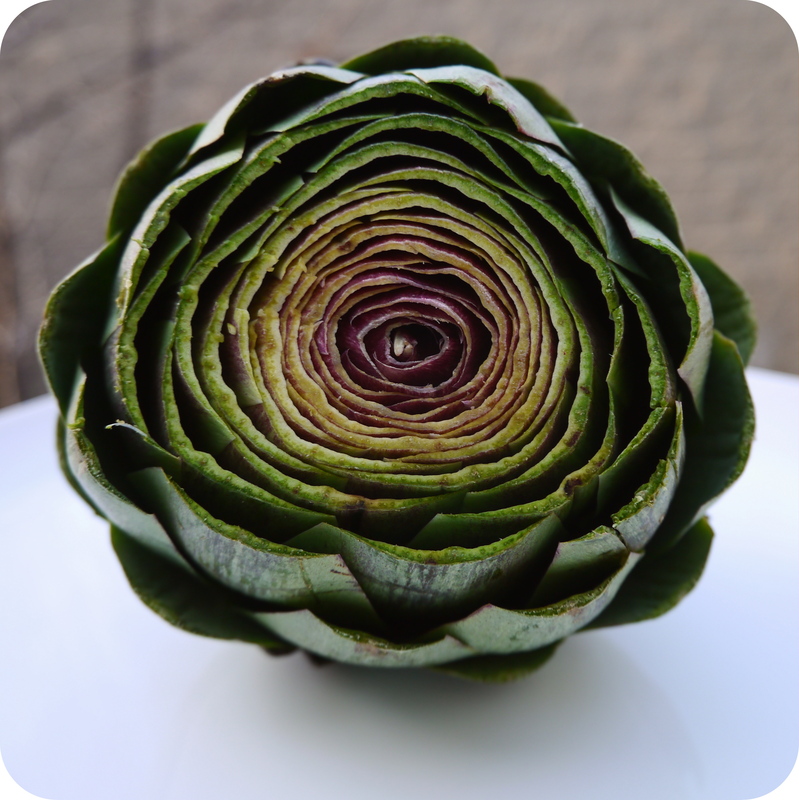 Trim the spiny tips of your artichoke, lob off about 2 centimeters off the top and rinse under cold water. Place a steamer basket into your pot and place the artichokes on top, bring to a boil. Simmer your artichokes for 25-45 minutes, or until the leaves easily pull away from the stem. 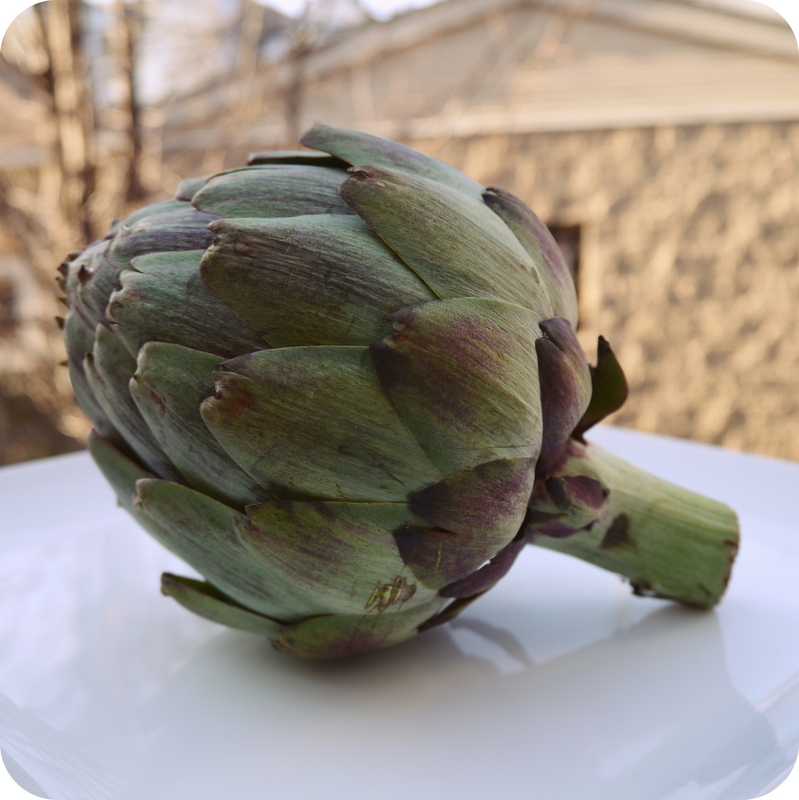 Stir all ingredients together and serve along side your steamed artichoke. One of these days I’ll approach a raw artichoke and won’t run away screaming.